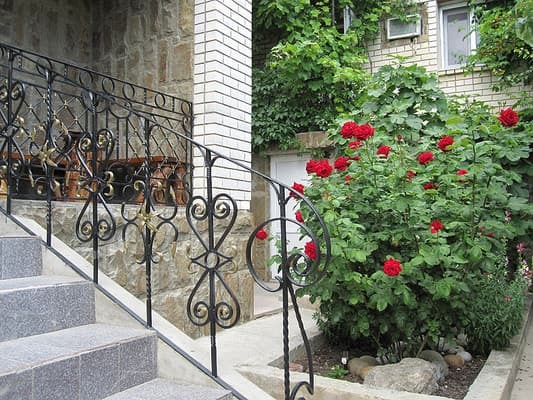 Guest house in Sudak is located in the center of Sudak, 800 meters from the sea. Customers will be pleasantly surprised by affordable prices. 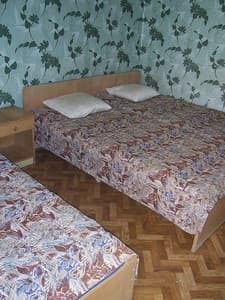 Comfortable rooms of any category are clean and cozy. From the windows there is a beautiful view of the surroundings of the city of Sudak and the Genoese fortress. 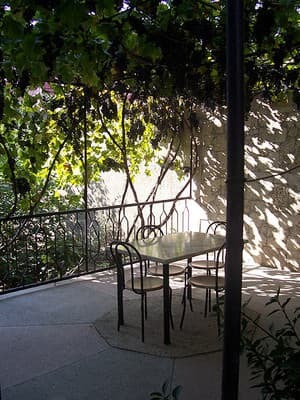 The courtyard of the Guest House will delight guests with an abundance of greenery, which creates a natural shade and coolness. On request, guests will be provided with brazier and hookah (included in the price). Free Wi-Fi is available throughout the property. It is possible to organize various excursions around the Crimea, sea walks, diving. The staff will make every effort to ensure that the rest in the Guest House is forever remembered, as the most comfortable and unforgettable. PRICES MAY CHANGE, IT IS REQUIRED TO RECEIVE INFORMATION FROM THE OPERATOR. 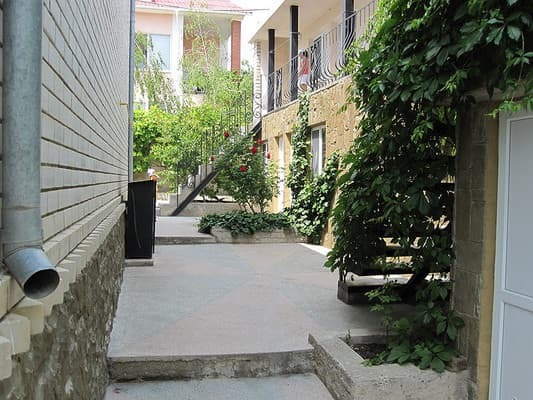 Description of the room: One-room triple rooms with private facilities on the block. 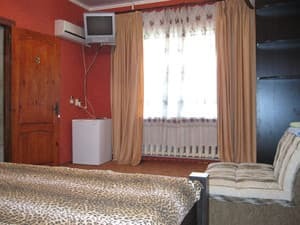 Description of the room: One-room double rooms with TV and air conditioning, refrigerator. A bathroom and a shower are shared, satellite TV, DVD. 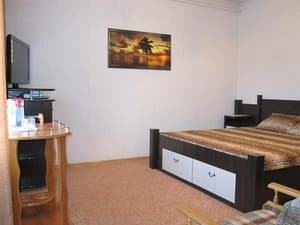 Description of the room: One-room numbers with all conveniences, the TV and the conditioner, a refrigerator, satellite TV, DVD. Accommodation with children is possible, but it is difficult to reach with children of small age to the beach. 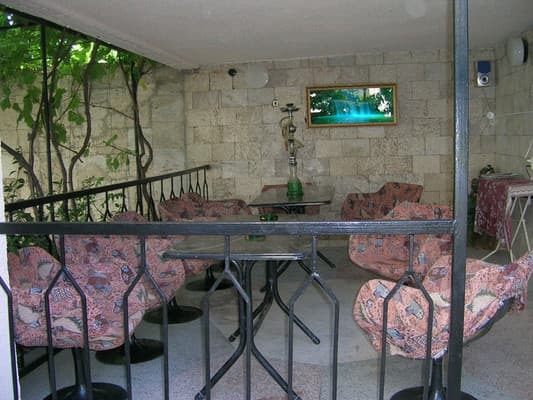 The guest house is located in the center of Sudak, 5 minutes walk to the Cypress Alley, 10 minutes to the central beach and the Genoese fortress (800 m to the sea). 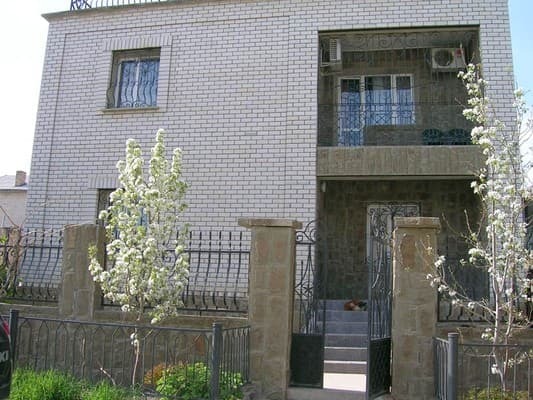 Marshrutki (and buses) leave from the bus station near the railway station of Simferopol (landmark restaurant "MacDonalds" right near the entrance to it are the ticket office bus stations), depart in 10-15 minutes, the journey time 1.40 - 2.20 hours. From Feodosia to Sudak (55 km) from the bus station, which is located at the terminal station "Aivozovsky".